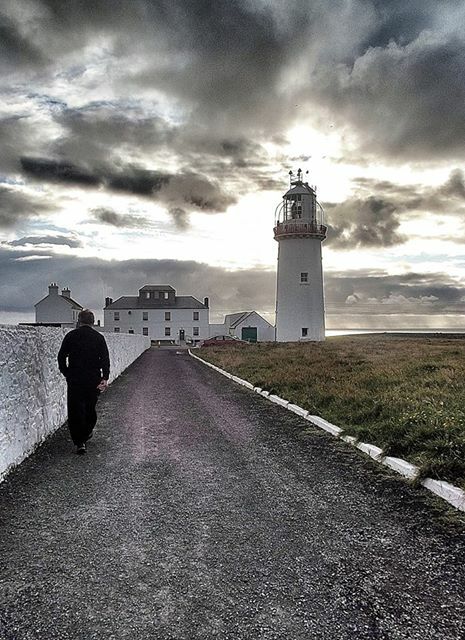 I absolutely adore lighthouses and Loop Head has special meaning for me. Gorgeous photo. Hi Jean, thanks so much. I’m a lover of lighthouses myself and Loop Head is one of the more damatic ones. Sometimes think it would be nice to visit all the lighthouses in Ireland over the course of a single year. Would have to be more organized to pull it off…. Hi Aileen, yes I’ve had similar notions as they are all in such beautiful places. Hook Head is the major one nearest to me and I’ve ended up staying on the Hook Penninsula just to get a chance to see it in all lights. This is an absolutely beautiful photo. It is just stunning!!! Thanks Michael, it’s one of my favourite photos! The lighthouse worker arrived just at the right time. :) Enjoyed checking out your blog, Michael. Particularly liked the photos of the winery. Love this time of the year in America!